According to a recent report by power-technology.com, India with 35 GW of installed wind capacity is fourth in the list of top 10 countries in the world by wind energy capacity. The report further adds that China, the only other Asian country to make it in the list, topped the chart with 221 GW of installed capacity, and was followed by the United States and Germany. China is the world leader in wind energy, with over a third of the world’s capacity. 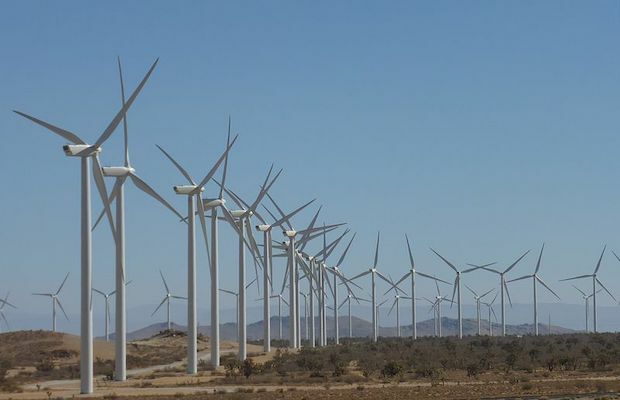 It boasts the world’s largest onshore wind farm in Gansu Province, which currently has a capacity of 7,965MW, five times larger than its nearest rival. The farm is currently only operating at 40% of its capacity, with a further 13,000MW to be installed leading to a grand total of 20,000MW (20GW) in 2020. This expansion is expected to cost $17.5 billion. Six of the largest 10 onshore wind farms are based in the US. These include the Alta Wind Energy Centre in California, the world’s second largest onshore wind farm with a capacity of 1,548MW, Shepherd’s Flat Wind Farm in Oregon (845MW) and Roscoe Wind Farm in Texas (781.5MW). Germany has the highest installed wind capacity in Europe with 59.3GW. Its largest offshore wind farms are the Gode Wind farms (phase 1 & 2), which have a combined capacity of 582MW. Germany is also home to the Nordsee One Offshore Wind farm, which has a capacity of 382MW and provides energy for 400,000 homes. The country has the third and fourth largest onshore wind farms in the world, the Muppandal wind farm in Tamil Nadu, Southern India (1,500MW) and the Jaisalmer Wind Park in Rajasthan, Northern India (1,064MW). The UK is the third European country on the list, with a total capacity of just over 20.7GW. The UK is particularly noteworthy in offshore wind, with six of the 10 highest-capacity offshore wind projects in the world. There is some concern as to the future of wind energy under populist President Jair Bolsonaro. On the one hand, he has shown support for expanding wind energy, but may also reduce subsidies due to neoliberal economic policies. Wind accounts for about 5% of Canada’s renewable energy supply, with the hydroelectric way ahead at 67.5%. Italy’s wind industry is heavily concentrated in the south and on its islands. All of the Italian energy company ERG’s onshore wind capacity is based south of Rome for example, with Puglia (248.5MW) and Campania (246.9MW) being its strongest markets.